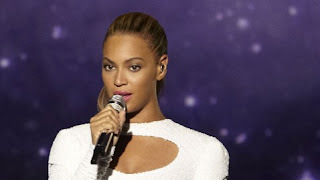 SnapCacklePop: Beyonce rocks new track I Was Here at United Nations..! Beyonce rocks new track I Was Here at United Nations..! As a celebration of all the humanitarian work across the globe, a unique event featuring Beyonce was held at the UN General Assembly in New York on 10th August to inspire people to leave their mark on the world by singing her album track I Was Here from her album 4. Check out the beautiful shot video in front of a live audience at the United Nations General Assembly for World Humanitarian Day. Then ask yourself how are you leaving your mark on the world?